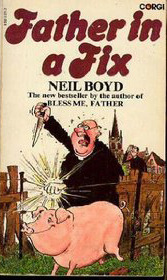 A very cute, simple-hearted book that prompted the "Bless Me Father" tv series. This book is a gem, full of humor and the joy of living. Highly recommended! I so enjoyed this little gem. Goodness, light and happiness! Father Duddleswell will stay in my heart for a while! I don't remember a lot about this one, beyond the fact that I definitely read it as a teenager.